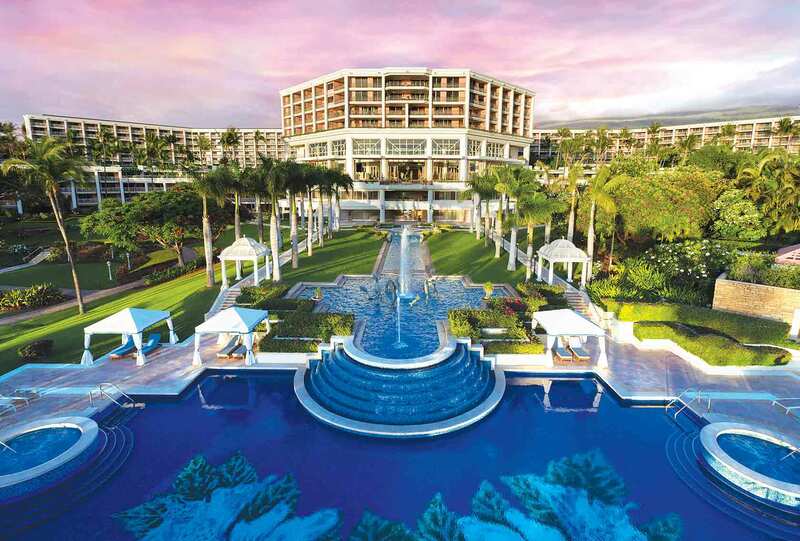 Nestled in 40 acres of lush Hawaiian landscapes, the Grand Wailea, A Waldorf Astoria Resort, has tropical splendor around every corner and is fronted by the most beautiful beach on the island, Wailea Beach. Delight in picturesque ocean views, lush Polynesian landscapes and idyllic sunsets. This luxury Maui resort features an exquisite art collection and a fine shopping esplanade on the property. The world-renowned Spa Grande offers the ultimate spa resort retreat, featuring the exclusive Terme Hydrotherapy circuit. Over 100 carefully architected treatments combine traditions from the East, West and Ancient Hawaii to deliver unrivaled indulgence for mind, body and soul. The closest airport is Kahului Airport (OGG). SpeediShuttle provides shared-ride airport transportation in Mercedes shuttles at a per person rate of $24.70 one way, $49.40 round trip between OGG the Grand Wailea. Guests with prearranged arrival reservations are met in the baggage claim area, then directed to their waiting shuttle. Vehicle amenities include complimentary Wi-Fi, 6’1” headroom, three-point seat restraints, adjustable headrests and roomy comfortable seats. There is a $50 per person plus tax per night charge for more than 2 persons in any room, with a maximum of 4 persons per room. No charge for children 17 years of age and younger staying in the same room with parents utilizing existing bedding. All room rates are exclusive of appropriate state and local taxes, fees and assessments; currently GET is 4.166% and TAT is 9.25% for a total of 13.416%.